Ever since the tragic death of Philip Seymour Hoffman, the media has been saturated with stories and articles about the rise of heroin use and addiction. For better or worse, it takes someone of means and notoriety to get people talking about something that has been going on for awhile now. Being part of the recovery community, it’s something I see day in and day out. It’s nothing new and whether people want to believe it or not, it’s everywhere. It’s not just the junkie in the abandoned house that’s shooting up anymore – it’s the rich kid down the street, the housewife with the Range Rover and the businessman at the local coffee shop. If you think otherwise, you’re kidding yourself. Ever since federal and state regulations made it harder for people to get their hands on prescription drugs, people have been turning to heroin because it has the same effect (it’s an opiate), it’s easy to get and it’s affordable. Like all addiction, heroin addiction is an epidemic. And, just when you think it can’t touch you, it does. Seeing the recent news on Justin Beiber’s run-ins with the law and substance abuse issues, it makes me wonder what’s next for him. Realistically, it’s only a matter of time before he goes from alcohol, pot and pills to harder stuff – if he already isn’t there. I’m not saying it’s going to happen, but the likelihood of it happening is pretty high considering the circumstances. The thing is, our society does a really good job talking about addiction and substance abuse issues, yet we fail to talk about the solutions and treatment options. The media loves to report on the latest statistics, celebrity run-ins and even death, but how often do they follow that up with ways people can get help? They don’t, which is why when I was asked to promote Advanced Health and Education, an addiction treatment center in New Jersey, I didn’t hesitate. As a premier New Jersey drug and alcohol treatment center, Advanced Health and Education “provides comprehensive and effective counseling services to adults and adolescents who are experiencing addiction to alcohol, cocaine, heroin, methamphetamine or prescription drugs.” Rehab and treatment has almost become a joke among many, who view it as a luxury getaway, when in fact it saves lives. Treatment centers like Advanced Health and Education not only offer people a reprieve from alcohol and drug addiction; they address emotional issues and teach people the skills to lead a fulfilling life without the crutch of alcohol and drugs. The only way we can stop the cycle is if we address the underlying issues that drive our addictions. Treatment centers can help do this and get us on the road to recovery. Unfortunately, many people rule out treatment and rehab programs because of the cost, however, many insurance companies cover alcohol and drug treatment in their plans. Also, many treatment centers, like Advanced Health and Education, offer scholarships and financial aid. Look at it this way: think about the time and money you currently spend or spent on getting and using drugs and alcohol. I guarantee treatment is less and you’ll actually get something positive out of it. It was reported that Hoffman spent 10 days in rehab after relapsing on drugs after over 20 years sober. A typical rehab and treatment program lasts 30-60 days. Would Hoffman have lived if he would’ve stayed longer? I don’t know, but maybe. Addiction is nothing to take lightly. 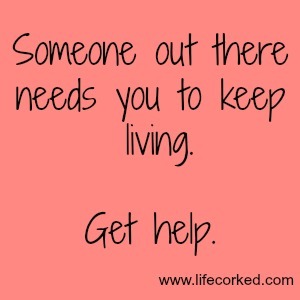 If you or someone you know needs help, find a treatment center and go – it could be a matter of life or death. Thank you! The lack of understanding is very frustrating to me. It’s one of the main reasons I share my story – to hopefully combat the stigma that continues to exist. Thanks for reading! 10 years ago this May I said “I can’t go on like this” my company scheme helped me to rehab. I am here alive today because of that. Thank you! Wow, almost 10 years? That’s wonderful! Nothing to take lightly. I don’t think people realize that their employers health plans will pay for all or the majority of rehab. It’s important for people to be educated on that because it could mean the difference of rather they go or not. As always, appreciate your comments! It was pretty heart-wrenching to read the negative comments on his so-called moral failure, I absolutely loved him as an actor, and as someone in recovery, I have been sick all week thinking about the loss of such a great talent, sick for his partner, mother and children, sick for him falling prey to the same disease I have. There but for the grace of God go I, and I pray for all the judgmental people out there, that they are enlightened about this disease. Josie, I couldn’t agree more. It makes me so angry, but I also have to remember that I too once had some of those stereotypes. Until you walk in someone else’s shoes, it’s very easy to judge. I’m grateful for people like you who are willing to share your story in an effort to create more understanding. Thanks! The lack of awareness of how deadly this disease is just astounding. And the horrible comments are just heart wrenching. Sad, very sad. But it just makes more determined to share my story and help another person struggling with addiction/alcoholism. Thanks Chenoa, great post!